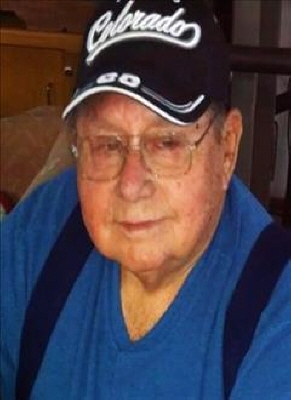 James C Slate passed Nov 24th in the home surrounded by his family. He married Johnnye Rhea Moore on Nov 8, 1945 and she preceded him in death on March 4, 1993. They had 5 children. David and Trena Slate, Betty Skiles, Bill Slate, Karen and Walter Posey, Lynn and Dossie Slate. There are 17 grandchildren, 16 great grandchildren, and 3 great great children. He has 1 living sister Arvella Ritter and was also proceeded in death by his parents, 3 brothers, 2 sisters and 1 son in-law. He enjoyed working on old cars especially his 1967 Cougar, fishing, spending time with his family especially his grandchildren and was a member of the Gatlin Baptist Church. Visitation at Bailes-Polk Funeral Home Monday Nov 26th open to close. To send flowers or a remembrance gift to the family of James C. Slate, please visit our Tribute Store. "Email Address" would like to share the life celebration of James C. Slate. Click on the "link" to go to share a favorite memory or leave a condolence message for the family.